This is going to sound whiny and privileged, so bear with me and know there are also regular life things going on, so the following "issue" isn't really an issue, just an ongoing search for a clutterbug's organizing solution. 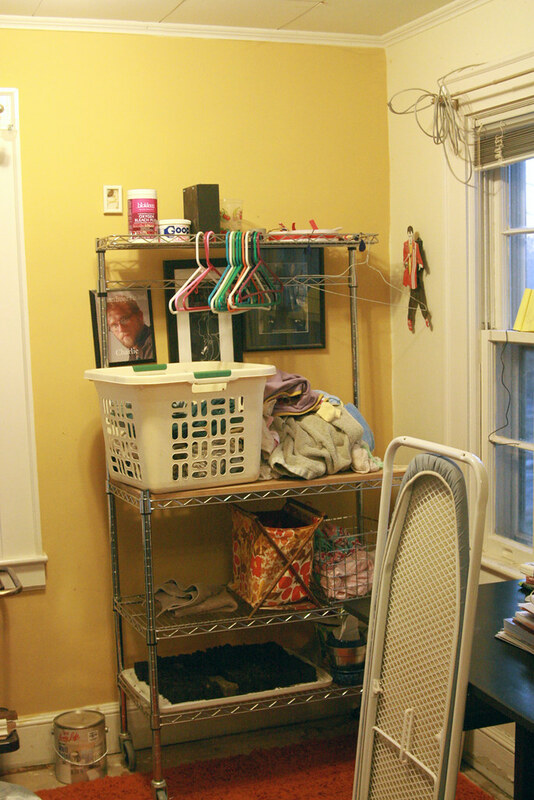 Our laundry room is in an upstairs alcove, which means it's visible as a space you walk past anytime you're upstairs. It's a 10 x 10' sunny, warm, welcoming spot when clean, but a stressful eyesore the rest of the time. Let's face it, stressful messy rooms don't get used, and I need to use the laundry room or they'll start complaining at work. In my eternal quest for a vacation-land home, I'm stuck. 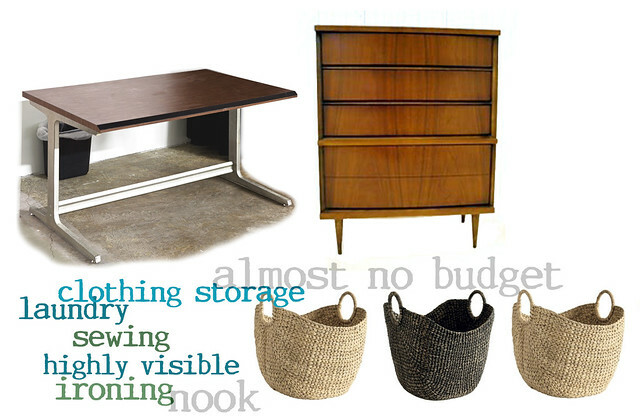 We have a few items (pictured above: free desk rescued from the dumpster by the Mr., similar dresser to the one shown via Craigslist, 3 sorting baskets from Ballard Designs) and I want to keep it as simple as possible. Any great ideas come to mind for helping me make our ugly space pretty? I'm ready to start outsourcing laundry...hey, that's not such a bad idea.